A shiny revolving brass base supports an enveloping cozy seating: this is the charming Capsule Armchair by Vismara Design! 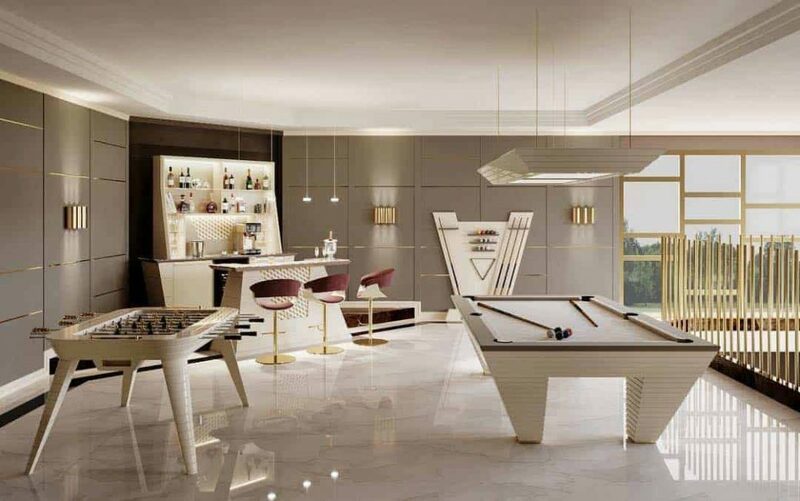 Luxury game room in a high-end private mansion, complete with party nights at home! Capitonne manufacturing revisited in a contemporary way, with black soft leather and glossy lacquering! 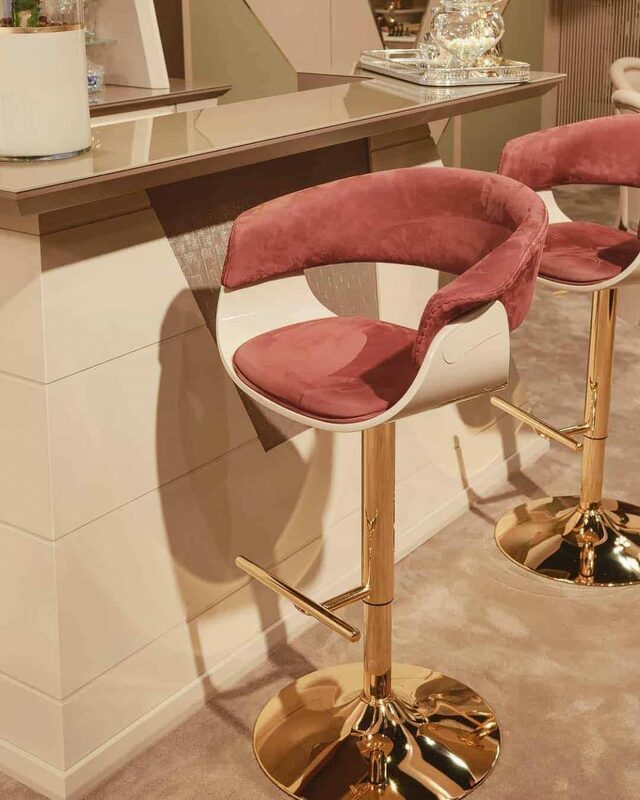 Linear design and fresh spirit: our Bar Stools enriches and complete your private Home Bar, without giving up comfort! 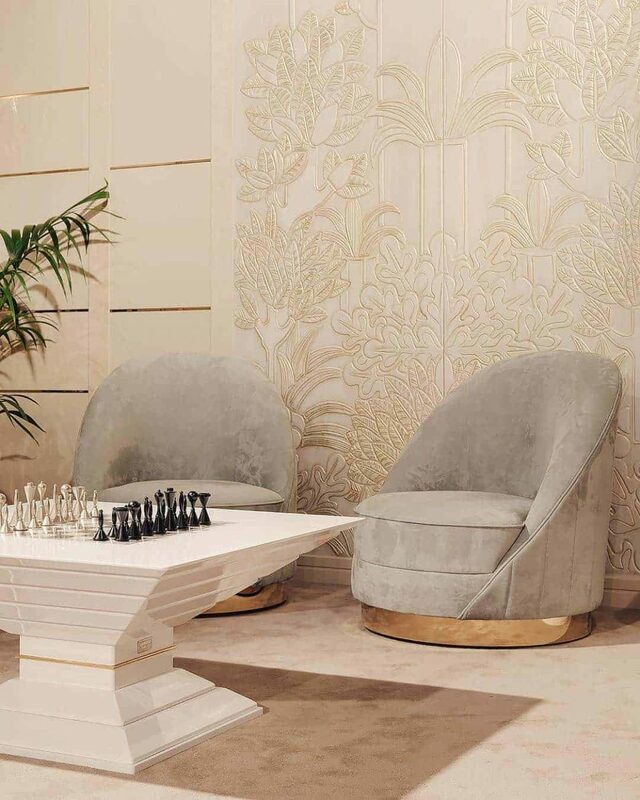 Elegant and refined Billiard Room with the brand-new Regis Pool Table surrounded by Tropicalia handmade artistic wall panels!